Instead of running his own 2016 Republican campaign for presidential nominee, former Republican Governor and once rising GOP star Bob McDonnell will be awaiting the outcome on his Supreme Court hearing on April 27. McDonnell and his wife Maureen were convicted at trial of receiving gifts and loans in exchange for official government assistance to Star Scientific, the dietary supplement company, of businessman Jonnie Williams, Sr. A federal appeals court upheld their convictions. So now their last Hail Mary is with the Supreme Court. And the Supreme Court vacancy may seal his fate. The prosecution contended and the jury convicted the McDonnells of receiving the gifts in exchange for allowing Williams’ business Star Scientific to produce the launch of its business and product at the VA governor’s mansion and potentially use Virginia employees in clinical trials of the dietary supplement, thereby defrauding Virginia taxpayers. From looking at the gifts, it looks as if the case was open and shut. And so the question becomes why the Supreme Court agreed to hear arguments. The defense portrayed Maureen McDonnell as an overzealous wife and as the “fall woman”, throwing her under the bus for his transgressions. McDonnell maintained his innocence and contends that he did not do anything official in exchange for the gifts given to him. Williams for his testimony received immunity and no jail time. Maureen McDonnell was sentenced to one year and one day. And Bob McDonnell was sentenced to two years in federal prison- far less than the almost 10 years requested by the prosecution. Both have remained free pending the final outcome. As his political case heads to the Supreme Court on Thursday, it goes before a possible tie decision among the justices. And if the justices split along party lines of 4-4, the federal appeals court decision will stand and both McDonnells will be headed to a federal prison. McDonnell wants the Supreme Court to agree with him that in accepting the gifts, he did not violate the law. His lawyers assert that the former governor did not perform any “official actions” or use “actual government power”; Instead they argue that the former governor only arranged meetings, attended events and the most routine political activities. Hence the argument is McDonnell did political business as usual. While McDonnell did not overtly state he used any political favors in exchange for Williams’ gifts, a launch of a business at the governor’s mansion is a favor, not likely to be received by most people- just for the asking. And attending functions where Williams would not have ordinarily been invited to are circumstantial evidence of a political favor. The nature of the continued gifts over a period of time and the activities afforded to Williams is minimally enough to uphold the conviction. It is true that McDonnell received far more than perhaps what Williams got in exchange for his gifts. However, the quid pro quo or exchange does not need to be equal for a bribery conviction to be upheld. 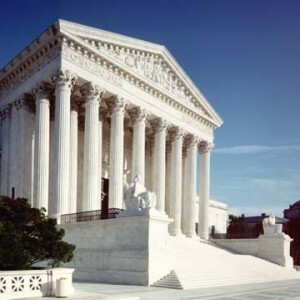 UPDATE: At oral arguments held on April 27, the justices on both sides of the political spectrum seemed inclined to lean towards McDonnell’s position–as setting up meetings is nothing out of the ordinary. A decision will be rendered by the end of June. Washington, DC based Debbie Hines is a trial lawyer, member of the Supreme Court bar, legal analyst and former prosecutor. Her Op Ed articles appear in the Washington Post, Huffington Post and Baltimore Sun. She appears on air on Al Jazeera, BET, CBS News, C-Span, Fox 5 DC, MSNBC, Sky News, PBS, among others. Tamir Rice’s family received a $6 million settlement as did the families of Freddie Gray and Eric Garner for wrongs committed by the police resulting in their loved ones’ deaths. Money does not equal justice. In America, where a twelve year old African American child is gunned down for playing in a park near his home and no one is held accountable, indicted, charged or arrested, there is no justice. When a 26 year old African American man is taken into police custody in a police van and receives a spinal cord injury and dies, justice remains elusive as 6 Baltimore police remain free awaiting trials. And when an African American man is arrested by police on the streets of New York City who then yells “I can’t breathe” and dies in a police choke hold with no charges against the police officers, there is no justice. The word “justice” is often used but rarely defined in our culture. The legal symbol of justice is the statue of the blind folded woman holding the equally balanced scales of justice. The scales of justice indicate that justice doesn’t see the color of one’s skin and is equally balanced. But is justice really color blind and balanced? Inscribed on the Department of Justice Building in Washington, DC are the words “Liberty is maintained in the security of justice.” The Department of Justice building is within minutes of the Supreme Court – where the highest court building’s façade bears two mottos: “Equal Justice Under the Law”; And on another side, the inscription reads “Justice the guardian of liberty. Said another way, justice is the guardian or protector of freedom. And yet justice evades many African Americans and other minorities in the criminal justice system, particularly in the area of police involved killings. When the Democratic convention is held in Philadelphia in July, 2016, a platform on criminal justice may be discussed. Proponents of a just criminal justice system should demand that mandatory statistics be kept on the number and information of people killed by police. Presently, no formal database exists in every state. Individual scholars and a few journalists attempt to provide information on police shootings which result in death. Even FBI Director James Coomey supports a national database of police shootings and calls the lack of one “embarrassing”. Most of the information collected and widely disseminated for 2015 is from the Washington Post. And yet Attorney General Loretta Lynch states the police should not be required to maintain an accounting of those whom the police killed. She does not support a federal mandate requiring accountability of those police shooting and killing people. I believe there should be mandatory accounting for all 50 states and the District of Columbia to maintain a database—regardless of the cost of doing it. The cost of taking a life far exceeds and outweighs any cost of keeping track of the problem. We cannot truly fix a problem until we fully understand the gravity of the problem. Tamir Rice, Eric Garner and Freddie Gray are just a few victims killed by police whose names and circumstances we know. Monetary settlements will not fix the problem of police wrongfully killing people—only justice in a criminal court will suffice. Washington, DC based Debbie Hines is a trial lawyer, legal analyst and former Baltimore prosecutor. 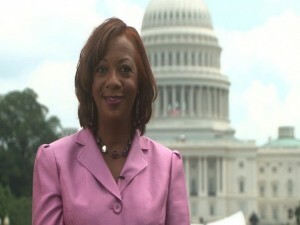 She is seen on Al Jazeera, CBS News, BET, C-Span, Fox 5 DC, MSNBC and PBS among others. Her Op Ed articles appear in the Washington Post, Huffington Post and Baltimore Sun. UPDATED: This post was updated on May 10, 2016. 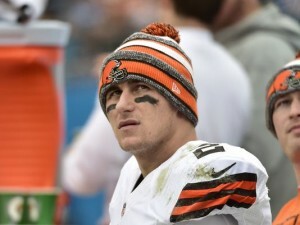 Former Cleveland Browns NFL quarterback Johnny Manziel joins the long list of NFL players who have been charged with domestic violence. A Dallas County Grand Jury indicted Manziel on a misdemeanor assault charge against his ex-girlfriend Colleen Crowley for an alleged assault occurring on January 29, 2016. Crowley received a civil stay away court order until February, 2018, ordering Manziel to remain 500 feet away from her. And if Ray Rice’s case is any indication of what will happen in a criminal court, Manziel is likely to receive a slap on the wrist. Rice was able to enter a New Jersey Court intervention program where his record was wiped clean—despite the egregious elevator footage of his attack on his now wife. Manziel and Rice do not stand alone in their domestic violence cases. Jerry Angelo, a former Chicago Bears general manager spoke out about hundreds of domestic violence complaints during his 30 years in the league that went unpunished. Famed NFL player Jim Brown in 1968 faced his first of many domestic violence charges, an assault with intent to murder, with other domestic violence charges following in 1985, 1986 and 1999. One of the most egregious domestic violence cases was former Carolina Panthers player, Rae Carruth, who was found guilty of conspiracy to commit murder on his pregnant girlfriend in 1999. A USA Today database that tracks NFL player arrests since 2000 found there were 87 domestic violence arrests among 80 players. And these numbers only deal with arrests and not actual complaints that did not result in an arrest. NFL named an anti-violence policy group that will meet regularly to assist in designing a league protocol on handling domestic violence. However, there must be more action taken on the domestic violence issue in the NFL to prevent future incidents from occurring or to prevent someone’s life from being taken by a NFL player. The actions must be more than suspensions of games and/or fines, if the NFL is committed to taking a stand against domestic violence. The issue of domestic violence is a complex issue in the NFL. And it must have a comprehensive approach in dealing with the issue. Washington, DC based Debbie Hines is a trial lawyer and former prosecutor who has represented many victims of domestic violence. Prince Rogers Nelson left what we celebrate as “this thing called life” on April 21, 2016. Prince’s legacy will remain eternal in this life and in the after-life. When news broke of Prince’s death, I was numb at the thought of his passing too soon. People from around the world are celebrating his life and legacy. Prince Rogers Nelson (1958-2016) deserves all the accolades for his life, legacy, music and message. From multi-talented musician, singer, song writer, record producer, actor, to film director, there will never be another musical genius like Prince in our lifetime. Prince was more than a musician. In the words of President Obama, Prince was a “creative icon.” As one Twitter user, “@ElusiveJ eloquently stated, “Thinking about how we mourn artists we’ve never met. We don’t cry because we knew them, we cry because they helped us know ourselves.” And Prince’s music, message and life helped us to know ourselves and who we should become in this thing called life. 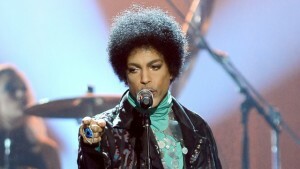 I first saw Prince in concert in Maryland in 1984. However, I will always remember his 2015 benefit Rally for Peace concert in my native Baltimore following the Freddie Gray unrest. From the proceeds of the concert and live streaming, Prince contributed $35,000 to Open Society Instituter- Baltimore’s Justice Fund. He also contributed $30,000 to Youth Works, a summer jobs program for Baltimore youth—creating 20 jobs for Baltimore youth. And the NAACP’s Academic, Cultural, Technological and Scientific Olympics received an undisclosed amount, pursuant to an agreement with Prince. He created a song to commemorate the life of Freddie Gray—bringing further attention to Gray’s death at the hands of Baltimore police. As a lawyer, I can’t but help appreciate Prince’s long fought legal fight beginning in the 1990’s to retain ownership over the rights to his masters’ catalog. He even changed his name to an unpronounceable symbol in denouncing the inability to retain the rights to his back catalog—with the word “Slave” written on his face. And in 2014, he was able to strike a deal to regain control over his back catalog from Warner Brothers due to copyright laws. His music spanned decades and reached multiple generations—worldwide. Media outlets are now searching for the cause of Prince’s death. For me, it is unimportant to know how Prince died. It is only important to know how he lived his life with integrity and purpose. His music will go on for an eternity. No one word or one song can sum up Prince. His legacy will remain alive in the hearts of those whom he affected through his music. And Prince affected just about everyone on this side of heaven. 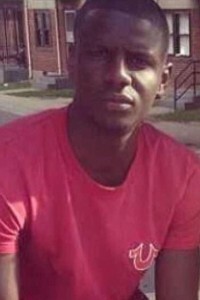 On April 19, 2015 Freddie Gray died from spinal injuries sustained on April 12, 2015 after being found unconscious 45 minutes after being placed in a Baltimore police van. In the one year since Freddie Gray’s death, there has been no accountability for his death. Six police officers were charged in the death of Gray on May 1, 2015. Whether Baltimore prosecutors will be able to convict any of the six officers still remains a mystery. The death of Freddie Gray is only one part of what the Freddie Gray case exposed about Baltimore. On May 1, 2015, State’s Attorney Marilyn Mosby charged 6 police officers in the death of Freddie Gray with charges ranging from second degree murder, manslaughter, second degree assault, and various counts of misconduct. The first trial of William Porter ended in a mistrial in December. While some legal scholars and analysts derided Mosby for overcharging the officers and swiftly charging them weeks later following the incident, as a former Baltimore City prosecutor, I disagree with their criticism. What the criticism fails to recognize is that the officers were charged, unlike in the other high profile police death cases of Michael Brown, Tamir Rice and Eric Garner. And in the Chicago case of LaQuan McDonald, it took evidence of an apparent cover up of a video tape before officers were charged in his death. While there may be a dispute as to whether the charges against the six Baltimore officers will result in any convictions, it should be up to a jury to decide the fate of the officers—not the State’s Attorney. It is the job of the State’s Attorney to proceed whenever there is probable cause to proceed with charges against an individual and if the case merits prosecution. The message that Mosby sent is no one is above the law, including police officers. The first trial against Officer Porter exposed the mismanagement of the Baltimore Police Department. Officers routinely disregarded police internal orders such as the ones on safety and seatbelt restraint which would have saved Gray’s life. New Baltimore Police Chief Kevin Davis must change the police culture and earn the respect and trust of the citizens which he and his fellow officers serve. Acknowledging and addressing rough rides is one aspect. The act of “manically” driving a prisoner unrestrained in a police van has long been the subject of suspected police abuse and mistreatment—suspected in Gray’s case. While a conviction in any of the six officers’ cases may send a morale boost to some Baltimore residents, it will do little for the Baltimore’s economy. The primary election to elect a new mayor is April 26, 2016. The winner of the Baltimore Democratic mayoral primary will likely become the next mayor of Baltimore. An opportunity and challenge exists for the new Mayor of Baltimore. The real challenge will be whether a new mayor will be able to help the Freddie Grays in Baltimore and the deplorable depressed areas in many parts of the city caused by economic plight. Census statistics show that almost 25% of Baltimore residents live below the poverty level. It will take more than a conviction in the police officers’ cases to address the ills in Baltimore caused by years of neglect in many parts of the City. And no matter who is elected mayor, the City of Baltimore will need and continue to need funding from the State of Maryland to turn around decades of economic plight. Job training, economic stimulus, drug treatment, affordable and decent housing and jobs must come to Baltimore. Republican Governor Larry Hogan’s administration intends to invest $135 million to fix the City’s broken transit system for better connection to jobs plus adding jobs in the process. More state help is needed to address jobs, education, drug treatment and housing. As much as I want to see criminal justice done in the case of Freddie Gray, economic justice must also come to the residents of my beloved hometown of Baltimore City. That should be the real legacy of the aftermath of the Freddie Gray case. Washington, DC based Debbie Hines is a trial lawyer, legal analyst and former Baltimore City prosecutor. She is frequently seen on air on Al Jazeera, BET, CBS, CCTV, Fox 5 DC, MSNBC, Sky News, TV One, among others. Her Op Ed’s appear in the Washington Post, Huffington Post and Baltimore Sun. Why No Charges Filed In MD Firefighter Killed by Homeowner? One Maryland firefighter was shot and killed and another one seriously injured after knocking on the resident’s door responding to a check for the person’s welfare. No charges are filed at this time. And social media is weighing in on both sides of the argument –to file charges and those wondering why firefighters responded in the first instance and attempted to bust in the door. And as a former Maryland prosecutor, I wonder why no charges were filed by Prince George’s County State’s Attorney Angela Alsobrooks. And charges might still be filed at a later time. On Friday, April 15, Prince Georges County firefighters responded to a home for a well person check, following a call by the brother of the resident-to check on his state of health. Firefighters respond as first responders in these types of cases which may need paramedic/medical assistance. Upon arriving at the home, presumably with the customary siren sound on and flashing lights on upon arrival, the firefighters announced themselves and received no response from knocking on the door. They were met with no response except gun shots which killed firefighter John Ulmschneider and seriously injured the second firefighter on the scene. The family member who made the call for welfare check was also injured. As with all cases, everything is not known in the media. The mental state of the resident is not known or what additional facts revealed in the investigation only known to investigators and prosecutors. From the information as revealed, it is questionable as to why some charges were not filed—at a minimum for involuntary manslaughter. 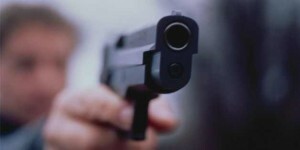 Involuntary manslaughter in Maryland means an unintentional/ accidental killing occurred –due to criminally reckless or criminally negligent behavior. In Maryland a homeowner or resident has a right to protect himself inside his or her home in order to defend against deadly harm. Yet, the defense of the castle doctrine or a modified castle doctrine is not an absolute defense. In a very similar case occurring in a Detroit, Michigan suburb, the result was the opposite. Homeowner, Theodore Wafer, initially told police that he shot nineteen year old Renisha McBride as she stood on his porch banging on the door, seeking help following a car accident. Wafer had testified that he feared for his life as a group of thugs might be breaking into his home, in his changing suburban neighborhood. Wafer, like the person who shot the Maryland firefighters, shot through a closed door upon hearing banging. Wafer is currently serving a sentence of 17 to 32 years after being found guilty on August 7, 2014 of second degree murder, manslaughter and discharging a firearm in the commission of a felony. The facts between the case of Renisha McBride and the Maryland firefighter are similar. The differences between the two cases lie in the fact that first responders arrived to the home. In many jurisdictions, where the safety of a person is concerned, firefighters who are also trained as paramedics arrive first on the scene. And they do not usually arrive quietly. I have known fire trucks to arrive with siren and lights on, upon arrival at a location when a call is made for an ambulance. According to the Prince George’s Firefighters’ Association, the firefighters announced themselves, checked for windows and banged on the door -getting no response. Then they proceeded to attempt entry into the home. All of this is acceptable protocol. In the act of trying to assist someone, one firefighter was shot and killed; another one is in serious condition. Police do not generally in many jurisdictions proceed to homes for check of a resident’s well-being. And firefighters do not need a warrant to attempt entry based on the concerned facts received from the family member-who was also present with the firefighters. Many persons dispute whether firefighters should attempt to bust in the door in these situations. No warrant is needed. This is not the case where sheriffs or police arrive to serve a warrant. Firefighters were present solely for assistance of possible medical attention. I have on occasion felt heath concerns for a close family member while living out of town. And if I was not able to ascertain their whereabouts or have someone to check, I would not have hesitated to make a call to authorities to check on their welfare–even knowing that their door might be broken in. It is a means to save people’s lives. 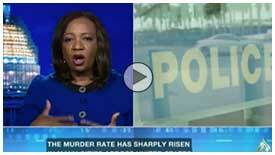 State’s Attorney Angela Alsobrooks needs to further review the facts. If the intentions are not to file charges, then she should respond to the public’s cry for concerns—on both sides of the argument. It is the right thing to do. UPDATE: DC’s WUSA -9 reports the homeowner felt his home was being invaded. Washington, DC based Debbie Hines is a trial lawyer, legal analyst and former Baltimore prosecutor. She is frequently seen on air on Al Jazeera, BET, CBS, CCTV, Fox 5 DC, PBS, NPR, MSNBC and TV One among others. Her Op Ed’s have appeared in the Washington Post, Baltimore Sun and Baltimore Afro American.